Did you know the Settings menu found on the Downloads tab in iFlightPlanner for iPad gives you the ability to control the regions or states, and the types of aviation data stored on your device when you're in flight and without an internet connection? 1. From the Downloads tab, tap Settings in the upper-right corner. 2. In the right column of the Download Settings menu, you may select the regions or states for which you would like to download data. You may choose the entire United States or the specific states in which you fly. 3. In the left colum, select the data types to automatically download when you tap "Download Updates" in the upper-right corner of the Downloads tab. 4. Tap Done in the upper-right corner to have the selected regions and data types added to the Downloads tab. You may delete all downloaded data and cached airport diagrams, approach plates, and chart tiles from your device. Tap the red, Delete Airport Documents & Chart Data from the Download Settings menu accessible via the Downloads tab and confirm that you would like remove all downloaded and cached data. 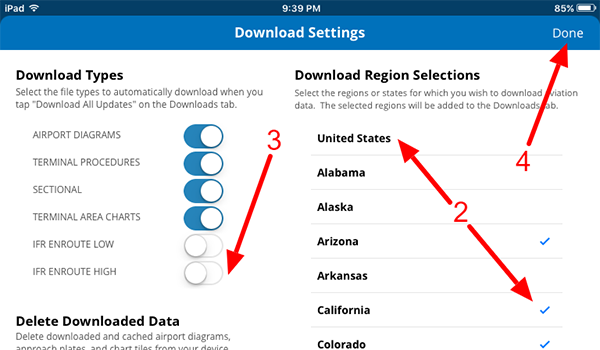 When new aviation data is available for download, tapping the green "Download Updates" button in the upper-right corner will download only your preferred data types for the regions you've chosen on the Download Settings menu, detailed above. Should you have any questions about the procedures detailed here, please contact us. A member of our crew will be more than happy to help! Did you know that you can now customize your logbook categories in iFlightPlanner? We know that every pilot flies differently and that's why we created a new feature that allows you to set custom names for the Other 1, Other 2 and Other 3 fields in your iFlightPlanner Logbook. A permanent field to log water landings has also been added thanks to some great feedback we received from one of our newest members! 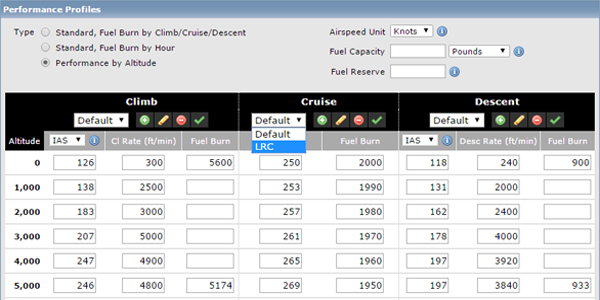 These settings are available to all members in the Logbook Settings section of your Aviation Profile,. Simply type the name you would like to use for each category and click the green, "Save My Profile" button at the bottom of the screen. These names will be immediately avialable on iFlightPlanner.com and will be pushed to iFlightPlanner for iPad with the release of v2.3, coming soon! Should you have any questions about these, or any of the other features available on iFlightPlanner, please don't hesitate to contact us! Not only can you choose your default auto-routing method, iFlightPlanner now allows you to customize your flight planning experience with your preferred type of aviation chart! Each time you access iFlightPlanner the chart you use most in your flight planning - VFR Sectional, TAC, IFR Low, IFR High, Street Map, Satellite or Hybrid will automatically be displayed. 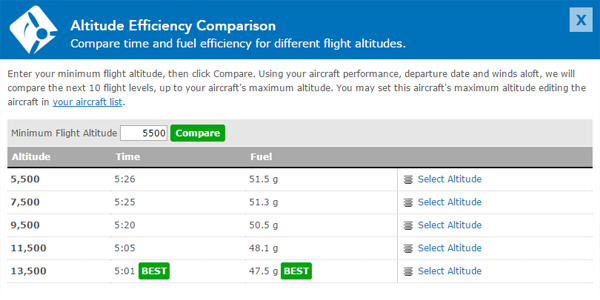 These settings are available to all members in the Flight Wizard Options section of your Aviation Profile. There you will also be able to format how latitude/longitude is displayed throughout iFlightPlanner as well as default settings for your Digital Logbook and Weight & Balance Calculator. Pilots who indicate they would like to receive confirmation that their IFR flight plan has been filed will now also receive notifications of any route modifications made by ATC. This enhancement, made possible by CSC DUATS, is available to all iFlightPlanner members regardless of one's membership type! Simply check the appropriate box on the flight plan filing screen in iFlightPlanner for iPad or iFlightPlanner.com (shown) and messages will be sent via email or text accordingly. 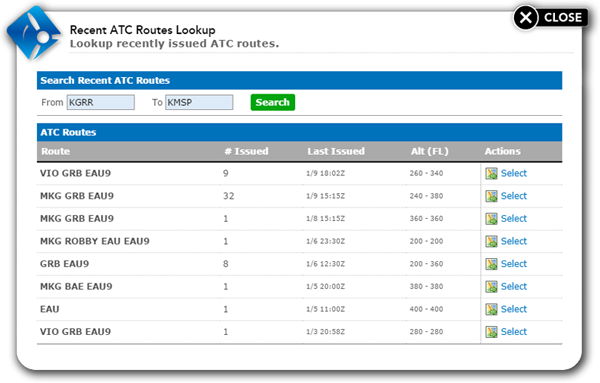 The route change notifications expands on the existing functionality pilots have to easily search for and plan any route issued by ATC within the past thirty (30) days. Choosing "Recent ATC Route" as your routing method will produce a list of routes that you are likely to receive clearance for between your departure and destination airports. In addition to the exact routing, you'll see the number of times that route has been issued, the date and time of last issuance and the altitude(s) for which it was cleared. Selecting a route will automatically populate the details of that route into the online Flight Wizard or Planning Console in iFlightPlanner for iPad. 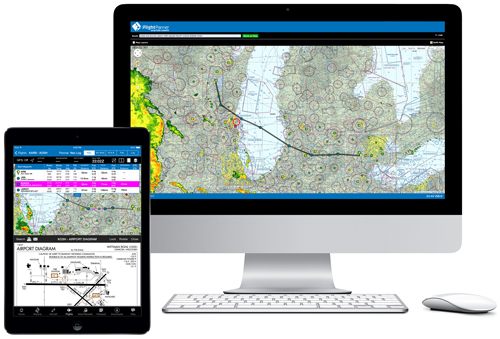 With iFlightPlanner for iPad you now have the ability to connect your iPad to your favorite flight simulator and unleash the best flight planning and in-flight simulation experience anywhere! Combining iFlightPlanner, FSXFlight and Lockheed Martin Prepar3D, Microsoft Flight Simulator 2004, Microsoft Flight Simulator X or the Steam Edition, pilots of all realms can plan flights using iFlightPlanner and view those routes in iFlightPlanner for iPad for use in their flight simulator. Once in the virtual cockpit, FSXFlight will push all simulated GPS data to iFlightPlanner for iPad via networked WiFi connection and force the iPad to behave as if it were flying in the same airplane! If you fly with X-Plane, the FSXFlight plugin(s) are not required and you may connect iFlightPlanner for iPad directly to X-Plane over the same wireless network. This feature is already available to all iFlightPlanner Premium members and you can upgrade today for as little as $9.99 per month and experience all that iFlightPlanner has to offer! Here's a time-saving trick from FLYING for IFR pilots who want to depart their home airport VFR and then have the option of easily picking up an IFR routing midflight. To do it, simply fill out an IFR flight plan form as you normally would, but input a VFR cruising altitude (for example, 8,500 feet) in the altitude block, with "VFR flight following" written in the remarks section. 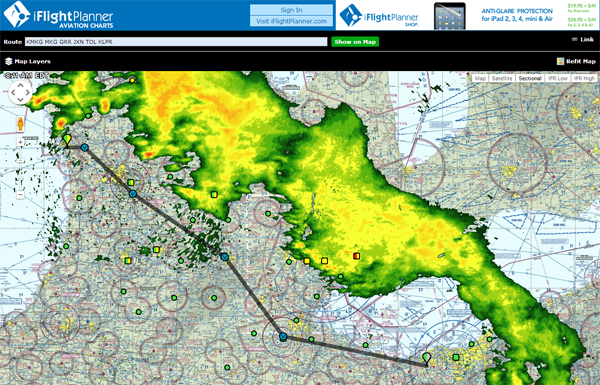 This will hold your flight plan with ATC rather than Flight Service. Now you can depart VFR and pick up flight following from ATC, with the benefit being the controller will see your planned routing in the system and won't have to ask a bunch questions about your intentions. If you later decide you need to pick up an IFR flight plan because of cloud cover, it's easier at this point for the controller to convert your VFR flight plan to an IFR routing because your basic information and planned route are already in the system. iFlightPlanner Premium Members now have the ability to import .GPX flight plan files into iFlightPlanner to assist in the planning of flight routes. This new functionality compliments the already popular feature of being able to save routes planned on iFlightPlanner to the .GPX and Garmin .FPL flight plan file formats for use in compatible avionics packages. The Import GPX Flight Plan feature is found under your Favorite Routes List. If you're not yet an iFlightPlanner Premium member you can upgrade today for as little as $9.99 per month! 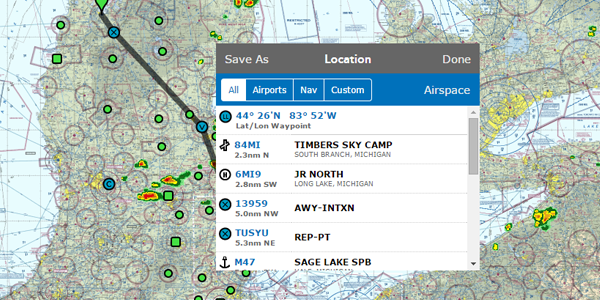 Simply enter your desired route in the "Route" field and click the green, "Show on Map" button to see the waypoints instantly depicted over a Google Map, Sectional, IFR Low or IFR High chart. You may change the map type using the options in the upper-right corner of the maps view at anytime and can be confident you're always seeing the most up-to-date chart and navigation data available. The same "Map Layers" menu that is available to all members using the intuitive Flight Wizard is available in the upper-left corner, and routes can be easily copied and shared using the link icon on the right side of the page! Should you have any questions about how to use the iFlightPlanner Aviation Charts please don't hesitate to contact us! 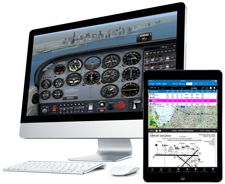 Several iFlightPlanner for iPad members approached us last week in Oshkosh regarding a perceived connectivity issue between their Bluetooth GPS decive and iPads running iOS 6, specifically versions 6.1.2 and 6.1.3. Know that this bug lies within the iOS 6 software and not iFlightPlanner for iPad or your third-party GPS and we expect it to be fixed with the release of iOS 7 later this year. In the meantime, here's a Quick Tip that walks you through the process of unparing your GPS, closing any open applications that utilize the GPS data and rebooting your iPad. 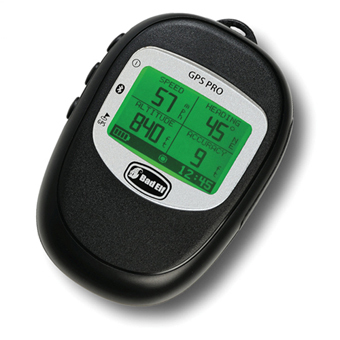 Power off your Bluetooth GPS device. On your iPad go to Settings > Bluetooth and locate your GPS device. Tap the blue arrow to the right of your device, select "Forget this Device" and then "Ok". Double-click the Home Button to display your list of recently used apps. From within that list only, touch and hold on iFlightPlanner until all the icons start to jiggle. Tap the red, icon to force-close each app. Once all the apps are closed, touch anywhere above the now empty list to close it. Press and hold the power button on the top-right corner until "slide to power off" appears. Move the slider to power off your iPad. Once the iPad as completely shut down, wait a few seconds, and power it back on. On your iPad go to Settings > Bluetooth and tap on the name of your GPS device to reconnect. Should you continue to have connectivity issues betwen your iPad and Bluetooth GPS device, the iFlightPlanner Crew recommends contacting the respective device's customer support department. Did you know that your iFlightPlanner Profile allows flight plan forms to be automatically filled with the personal details that are required by the FAA? Simply verify that your information at https://www.iflightplanner.com/My/MyProfile.aspx is correct on the "Addresses" tab. The Flight Wizard™ will then use your Primary address to complete any future flight plan forms! Print a Flyer, Help Share iFlightPlanner! We have created a new, printer-friendly flyer to help spread the word about iFlightPlanner! If you think your fellow pilots would appreciate knowing more about iFlightPlanner.com, mobile.iFlightPlanner.com and iFlightPlanner for iPad presented by Sennheiser, print a copy and post it at your local airport or share the following short link via email or in your favorite online forum! The highest compliment we can ever receive is a personal recommendation from our members based on their experience with us. We thank you for your continued support and encourage you to stay tuned - we have some exciting new features in the works thanks to your feedback!